Apples are one of the most versatile fruits and a home preservationist's dream. Learn about various canning applications including apple syrup, applesauce, apple butter, apple jelly, pie fillings, pickles, dehydration, and more in this class. Cranberries aren't native to Los Angeles, but that shouldn't stop you from preserving one of Thanksgiving's favorite condiments. In this class, we'll water bath can one of our favorite marmalades: cranberry and orange. Marmalade season: What to do with all that backyard fruit? Liquors for the Holidays: Hint: They make great gifts! The Bacon Cure: Join us as we dish up bacon ice cream and have a guest bacon expert who will show us how to "cure" bacon. All our classes offer instruction on the principles of basic canning. You'll be able to water bath can almost everything -- stone fruit, tomatoes, strawberries, figs, and marmalades -- regardless of what we can for the class. Class fee is $65 and includes all course materials. Just come with your apron, closed-toe shoes, and your favorite paring knife. Class attendees will bring home one or more jars of what is prepared and preserved in class, and a complimentary scoop of ice cream. To reserve your spot, email us at Karen@mothermoo.com or call 626.355.9650. Here's your chance to get hands-on experience canning some of your favorite summer items. I'll be sharing my knowledge at an intimate class hosted by the fine folks at Simple Gourmet, where I'll teach canning safety and how to get the most out of your summer produce. The class is set for 10:30 a.m., Saturday, July 30. Class includes locally grown produce, (yes, we will actually can!) canning jars, written materials and will last 3-4 hours. You will leave with three jars of finished canned items you made that day! Learn more about the class here. The class is limited to 10 individuals so make sure to sign up today! Our flagship store, Mother Moo Creamery, won't be open for a few more weeks but we are thrilled to be presenting an ice cream demo at these two amazing local events: EatReal Festival and LA Street Food Fest. 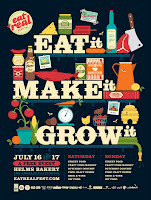 At Eat Real, Mother Moo Creamery Owner and Certified Master Food Preserver Karen Klemens will appear on the craft stage at 11 a.m., Sunday, July 17, giving a demo on how to make her signature Sweet Summer Corn Ice Cream. She also will be at the LA Street Food Fest on Saturday afternoon. If you cannot make any of the two extraordinary food events, check out the Mother Moo Creamery website for information on our much anticipated opening! For those of you who love Mothercluck jams and jellies, we are proud to announce that our products will have a new home. Coming next month, Mothercluck Artisanal Jams, Jellies and Preserves will be MOO-VING to Mother Moo Creamery, 17 Kersting Court, in beautiful Sierra Madre (www.mothermoo.com). Owner Karen Klemens will be scooping up her organic ice cream at Mother Moo, plus she will be selling her artisanal jams directly to the public. Home preservation classes and workshops also will be available in August -- just in time to can the 100 pounds of tomatoes in your garden! Mother Moo and Mothercluck are proud to be united under one barn. Come by and give a scream, because We All Scream for Ice Cream! After a few months of rest and more importantly the birth of two beautiful, healthy goat doelings, the Altadena Urban Farmers Market is back, featuring locally grown fruits, vegetables and prepared foods. The market also will be celebrating the lift of the citrus quarantine. The quarantine has hampered local growers' efforts to safely and legally transport backyard fruit. At the May market, patrons can expect plenty of fresh, organic fruit and vegetables for sale. The market is set from 1 to 4 p.m., Sunday, May 29, at the Zane Grey Estate, 396 E. Mariposa St., Altadena. Proceeds from the market benefit the ongoing work of the nonprofit Arroyo Time Bank. Check out the ATB's link here. Mothercluck's line of jams, jellies and preserves will be back along with a host of other regular vendors. We all will be so happy to see our regular customers again. 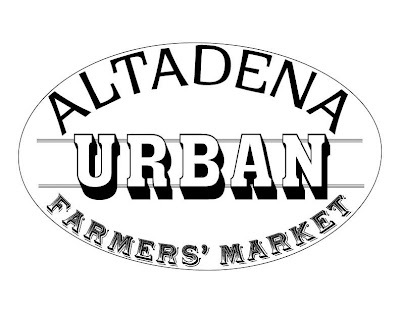 Truly, the Altadena Urban Farmers Market is one of the best markets in Los Angeles County. Stop by, shop and make sure to pet the goats, including babies Dorothy and Poet. You'll be glad you did! Back by popular demand, my award-winning Gaviota Strawberry Jam using berries freshly picked from McGrath Family Farms. This is a premium jam using 100 percent organic strawberries. $12 for an 8 oz. jar. I only make a limited supply so when I'm out, I'm out. Until next time, of course. Come get yours this Saturday, April 30 from 11 a.m. to 4 p.m., 2600 Paloma Street, Pasadena. 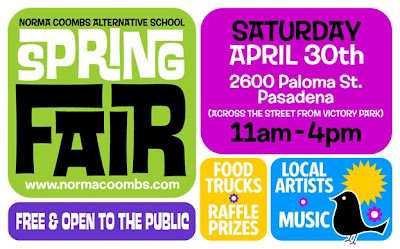 The event, benefiting Norma Coombs Alternative School, is free and open to the public. My Gaviota Strawberry Jam makes the perfect Mother's Day gift. At Mothercluck, we’ve been working as hard as a brood of hens to produce some of the best artisan jam your mouth will ever taste. Right now we’re getting the most out of our citrus as the season winds down -- gorgeous, tasty marmalades and candied citrus. Soon we’ll focus our efforts on the bounty of plump strawberries on the horizon. 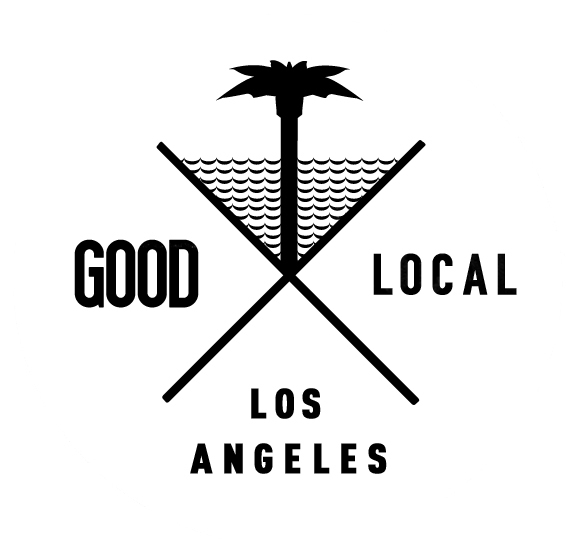 This Saturday, you can taste the deliciousness of our citrus at the launch of GOOD LA, a new local community market at Atwater Crossing, 3229 Casitas Ave., in Atwater Village. You can learn more about living a more sustainable life, stop by the DIY workshops and shop for locally made goods. The weekend event is free but feel inclined to RSVP because some events will fill up. Mothercluck will set up shop from noon to 5 p.m., Saturday, along with a handful of other local artisans such as Créme Caramel LA and Cast Iron Gourmet. We’re happy to join them. If you are in Atwater Village, stop by and give a cluck! Some press hits for you to savor. Fellow Master Food Preserver (MFP) Felicia Friesema does a thorough job explaining serious food safety issues for her weekly series on the MFP program for LA Weekly's Squid Ink. Don't look too closely -- there's an unfortunate picture of Mothercluck. A beautiful picture of our Sweet Pickled Oranges and Salted Meyer Lemons. Nice write up, too, from Food GPS. Writer Jessica Dewey gets all her facts right in this thorough piece on ArtisanalLA for Disarray Magazine. She even mentions my Smoked Cheese Crack. Hooray! I'm usually behind the stove or behind the keyboard so it's nice to be pictured in front of our logo. Blogger Victor Caballero gives a nice shout out to mothercluck and our appearance at the ever-growing Altadena Urban Farmer's Market. A nice picture of my mothercluck sign. LA Weekly's Squid Ink gives us a nod! We think this is really cool! Mint.com gives a nice plug to Joe's Jams and our secret ingredient for our blueberry jam (hint: gin). Mothercluck is a registered trademark of Mothercluck LLC of Pasadena, CA. The content on these pages is the sole property of the author and may not be used or reproduced in any manner without consent.